James Salter, whose intimately detailed novels and short stories kept a small but devoted audience in his thrall for more than half a century, died Friday in Sag Harbor, N.Y. He was 90. His wife, Kay Eldredge, confirmed his death, saying he had been at a physical-therapy session. He lived in Bridgehampton, N.Y. But he never achieved the broad popularity he craved. “You can’t be admitted to the ranks of writers of importance unless you have sales,” he said. Always a close observer of the people around him, Mr. Salter made careful notes wherever he went: to Europe and Asia for the military, to the New York suburbs to start a family, to Manhattan to establish himself as a writer, and to Hollywood to write for movies, including “Downhill Racer,” a 1969 film with Robert Redford. That scrupulousness showed in his first novel, “The Hunters,” from 1956, written when he was a fighter pilot in the Air Force. The story centers on the relationship of two fliers, an honorable veteran of the Korean War who cannot live up to his past triumphs, and a pilot under his command who is preternaturally lucky but morally underendowed. The author’s powers of observation were equally keen in his valedictory novel, “All That Is,” a tale of postwar New York, published in 2013. Strung between them was a series of novels, including the two he wanted most to be remembered for — “A Sport and a Pastime” (1967) and “Light Years” (1975) — along with two vaunted collections of short stories and a memoir. 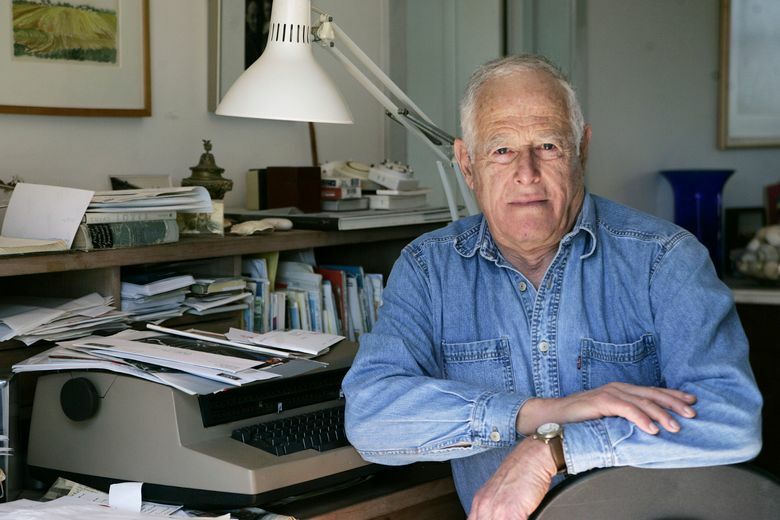 James Salter was born James Horowitz on June 10, 1925, in Passaic, N.J., to L. George Horowitz and the former Mildred Scheff. His father was a real estate broker and businessman. James grew up in Manhattan, and attended the private Horace Mann school in the Bronx. He went to West Point at the behest of his father, a graduate, and joined the Army Air Corps (later the Air Force). He took the pseudonym Salter — later his legal name — in publishing “The Hunters,” in part to shield him from being criticized by the military as he mined it for his fiction, he told The New Yorker magazine. He also sought to conceal his Jewish heritage. “He didn’t want to be another Jewish writer from New York; there were enough of those,” as the magazine put it. He had married Ann Altemus in 1951 and had four children with her before they divorced after a quarter-century. His Hollywood sojourn began when he and a friend, Lane Slate, started making documentaries, including the football film “Team Team Team.” “Downhill Racer” was his most successful movie, and his book about climbing, “Solo Faces,” (1979) grew out of an idea for a film script for Redford. His screenplays included ones for “Three” (1969), which he directed as well, and “Threshold” (1983). He disparaged his Hollywood period, but he acknowledged the work was lucrative. After the Hudson Valley years, he divided his time between homes in Bridgehampton and Aspen, Colo. In the 1970s, he met Eldredge, a playwright and documentary script writer, and they married in 1998. Others complained that it omitted too much. Mr. Salter said little about his first marriage, and though he discusses a military pilot’s exhilarating command of the skies, he does not touch on the fighting or its moral justification. He did reveal some personal vulnerabilities in the book. He evokes, for example, the melancholy he felt when he watched the first spacewalk on television in a Paris hotel in 1965, saying he was “sick with envy” and “suicidal” as Ed White, a former Air Force comrade, floated into the history books. In “Burning the Days,” Mr. Salter also recounts the death of his grown daughter Allan in 1980. He carried her out of the shower and tried to breathe life back into her, not realizing she had been killed by an electrical accident. Besides his wife, Mr. Salter is survived by two daughters, Nina and Claude Salter from his first marriage; two sons, James from his first marriage and Theo with Eldredge; and four grandchildren. His later years brought bursts of attention with reissues of several of his books, a clutch of new awards and the ensuing personal appearances. He had won the PEN/Faulkner award for the collection “Dusk and Other Stories” (1988), and was named a finalist for that award for the collection “Last Night” (2005). In 2013 he was chosen for one of the first Windham Campbell Prizes, a literary honor given by Yale. At his death he had just agreed to write a memoir of his writing life, for Knopf, his wife said. Mr. Salter had had high expectations for “All That Is,” his first novel since 1979 and, as it turned out, his last. The protagonist, the handsome, intelligent Philip Bowman, fresh from World War II, finds a job in publishing in Manhattan and follows the industry into its golden days with one woman or another on his arm or in his bed. Along the way he sails the avenues in cabs, retires for the weekend to a suburban retreat, travels to Europe, betrays and is betrayed.